The subject of luck in fly fishing is an interesting one and an area I visited in previous writings/video. While I accept we all need a bit of luck at times for things to go our way, e.g. the tangled leader holds while playing a good fish, the achievement of consistent success comes from learned skills and knowledge applied correctly. 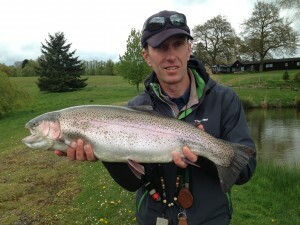 Steve with a huge rainbow trout. Here’s a classic example of what I am talking about. We all dream at some point of catching a “big” trout, the classic fish of a lifetime. For many people the capture of such a fish remains a dream, for others a once in a lifetime experience or occasional occurrence. 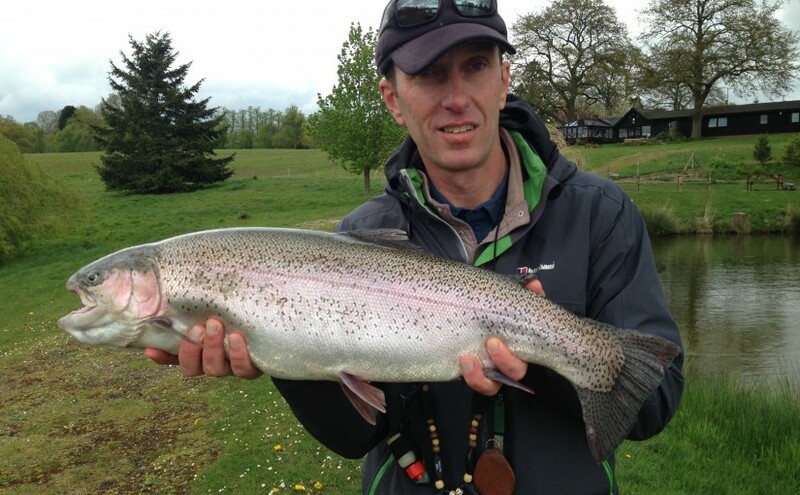 However, for a small band of fly fishers, catching big trout is a regular achievement. Application of specific skills, knowledge and mindset are required for this degree of consistent success. This can be said equally of many aspects of fly fishing (fishing in general, in fact, life as a whole as I’m feeling philosophical). The bottom line is you get out what you put in. The video above is an interesting one. I filmed that sequence of my friend Don Stazicker. We later sat down to list the thoughts and actions we go through to achieve the very successful outcome shown in the video. We then picked out the series of key points that pop on screen during the video (top tip, if you’ve not already done so, watch the video, pausing it to read each point carefully, you may just find a gem of information). The notes we added are just 20% of the complete process we wrote out, including anymore was unworkable. Saying it’s all down to luck does an injustice to ourselves, the sport we love and forms a barrier to our ultimate enjoyment and fly fishing performance. Once you accept this, it’s time to take the next step!